This isn't the first time Samsung has been bumped from the manufacturing roster for Apple's iPhone processors, but the company apparently just can't keep up with TSMC's manufacturing process so Samsung is out for this year's work. Apple has reportedly given TSMC the full contract for manufacturing the next gen iPhone 7 processor, expected to be called the A10 chip. 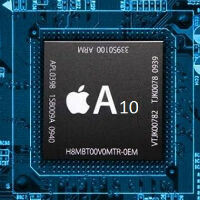 Word has it that what put TSMC over the top was its capabilities with 10-nanometer manufacturing technology, so it seems reasonable that would play a role in the next iPhone SoC. A 10-nanometer chip would make it smaller and more power efficient which would mean Apple would be able to make the iPhone thinner without it affecting battery life. Of course, most users would prefer that the iPhone stay the same thickness (or get thicker) if it would mean even better battery life, but Apple never wants to listen to customers when it means not making a thinner and lighter iPhone. No other news about the iPhone 7 or the A10 is known right now and it may be a while before we hear anything else too solid. The next iPhone isn't expected to be announced until September, so we'll have to survive on rumors until then. I call BS... 10 nm really? I don't see 10nm being ready in time, as cool as it would be. If they somehow managed to shove their 10nm development cycle 6-12 months to the left, it's possible, but that would be a Herculean effort. 10nm will come in the 7S...just wait and see. Chances of Apple moving from 14nm lpp to 10nm lpp in just one year:.. close to zero. Chances of TSMC having enough 10nm yields before august to supply all iPhone 7 chips: close to zero. Chances of Apple betting on a single supply source for the main chip for the one device that supplies 68% of their income:close to zero. So many times we saw similar posts last year : Samsung out. No, TSMC out. Etc. Wrong every time. Regardless of whether Apple chooses Samsung or TSCM, I'm sure the results will turn out to be pretty similar in the end. That was the story with the A9 chip, except from the 2-3% of battery life of different that there was between the two, the Overal results were largely the same. glad to hear that, doomsday for Crapppple coming soon. I don't know about this. First the little gain with tsmc over Samsung is negligible, and if you ask me, samsungs quality and experience is a tad better than tsmc. This could be due to Apple isn't expecting as much sales of next iPhone (based on predictions) and Apple doesn't have to tap both manufacturers in order to fill demand anymore. And Samsung already caved into lower costs for Apple. I'd go with Samsung if I was Apple. Will just have to see - they been rumor-ing this nearly every year - and it never panned out. My best guess of that happens it's only due to lower demand for iPhone. It's been like this for a while.... where did you think Samsung made their components? Don't tell me South Korea. Lowering of price means STILL MUCH MUCH MORE profit for apple, but NOT so for customers..
What ever. I don't intend buying any icrap with their ridiculous prices. Is that what you think? Samsung has SD820 to supplier alone. And more manufacturers are turning on Samsung for Amoled and lot others. SD820 will end up in flagships. Android flagships, simply don't compare to the iPhone in terms of pure sales volumes. Android has an ENORMOUS user base, something like 80% of which is low and midrange devices. Samsung is used to having Apple there to keep their numbers up. The loss of it will make an impact. And the SD820 can't fill that gap. Who cares what their reasoning is. At the end of the day, the bottom line is what counts. And the bottom line is that if Samsung loses the contract, their semiconductor division is going to have a rather s**tty year. Sammy will get some of the orders just wait and see. Quantity vs Quality. Apple tries to replace the biggest producer of chips and kill one of the best and profitable businesses of Samsung. Not an easy task taking in mind that they are the biggest producer. Risky move as this would generate tons of problems in the iPhones if the TSMC chips are not on the same quality level (iPhone owners always expect to have the best phone). Samsung just replaced Apple with Qualcomm. Qualcomm chips are placed in far more phones than Apple produces in a full year. With the SnapDragon 800-805, more than 700,000 phones/tablets used this platform. What's that, 2 years worth of chips. How many phones did Apple sell in 3 years? Maybe 600M? Samsung doesn't need Apple, but like any company you hate to lose a customer. But Samsung can easily replace Apple money. Their profits are also much lower per chip.